Fox Valley veteran musicians Jay Stulo, Rodney Zimmerman, Tom Thiel along with Spencer Panosh make up the latest incarnation of Mudbone. Blues-tinged rock, plenty of surprises and an absolute pile of guitars! 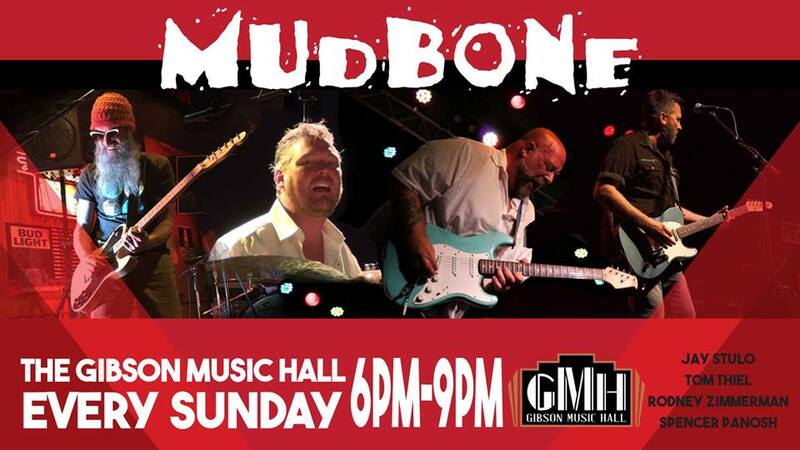 EVERY Sunday evening head to Gibson Music Hall to catch Mudbone Live! 6:00-9:00pm. No Cover!